Welcome to the Rankin County Chancery Clerk online land records database. Here you will find information about our office and descriptions of our duties. Below you will have the ability to search our online land records. For more options, visit our website www.rankincounty.org. If you have any additional questions please contact our office at 601-825- 1469, or e-mail [email protected]. As public recorder, the Clerk handles the recording and storage of several types of documents and maintains various indexes which aid people in researching these records. The primary records are deeds and mortgages relating to real property, but the Clerk also records construction and condominium liens, federal tax liens, lis pendens (notices of pending lawsuits) and military discharges. The Clerk is in charge of the storage and authorized disposal of older land rolls, tax receipts and many other County records after their active use lifespan. 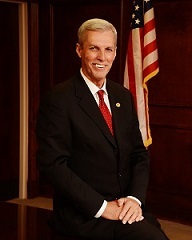 As Clerk of the Chancery Court, the Clerk handles a multitude of tasks such as matters of estates, guardianships, conservatorships, divorces, child custody, adoption, property disputes and other matters of equity.